Energy moves through us, around us and within us with every breath and step we take. Conscious use of energy causes the potential for massive transformational growth because when you think about it, energy is all that is. When people begin working with energy on purpose, they begin to realise that the only limitations they have in life, are the ones they put on themselves. You will come to understand this completely during the Chakra Energy Healing Online Course. Since the Chakra Energy Healing Course provides detailed steps to take to align with and work with a crystal pendulum, it's only natural that the crystals are one of the main things that will begin communication with you. Crystals hold their own energetic vibrational energy and for many of my students, being able to receive communication from crystals whilst working with chakra energy healing is just part of the natural growth process. Everything is energetic in vibration regardless of if you are here in physical form, or there in spirit. When you work with energy for healing, you are raising your vibration. On the other hand, your spirit team lowers their high vibrational energy so they can meet half way to pass on messages or guidance that could be of help for you and whoever you might be working on. This is why energy workers or psychics are called "mediums" - because they meet spirit in the middle to get information to pass on. We all can do this and the Chakra Energy Healing Course provides you with the platform for this incredible natural growth process to occur. Use the healing ability that you were born with. We all can heal using energy because energy is what we are! You've just got to remember how to use what you are. Come and join us. 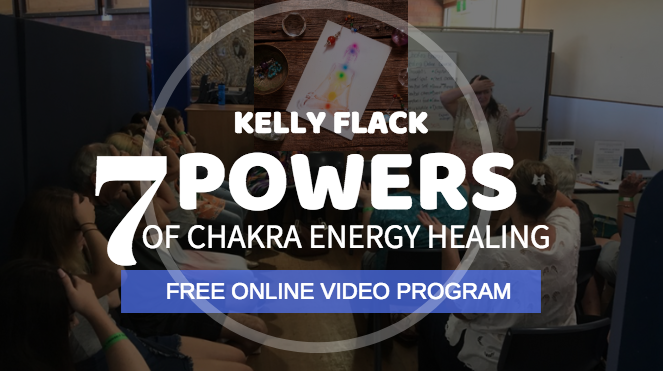 Tune into your True Potential and fast track your healing abilities and fully realise how you are affecting your chakra energy and how you can change it all. Bring your entire body back into complete energetic balance by clearing and recharging your energy centres.